I put out a couple of traps in the garden last night (Weds 12/7), with moderate numbers and diversity awaiting me this morning. Chinese characters were FFY and, after an absence of many weeks, a silver y turned up - well, two in fact, along with a rush veneer. So, there is a little migratory action taking place. 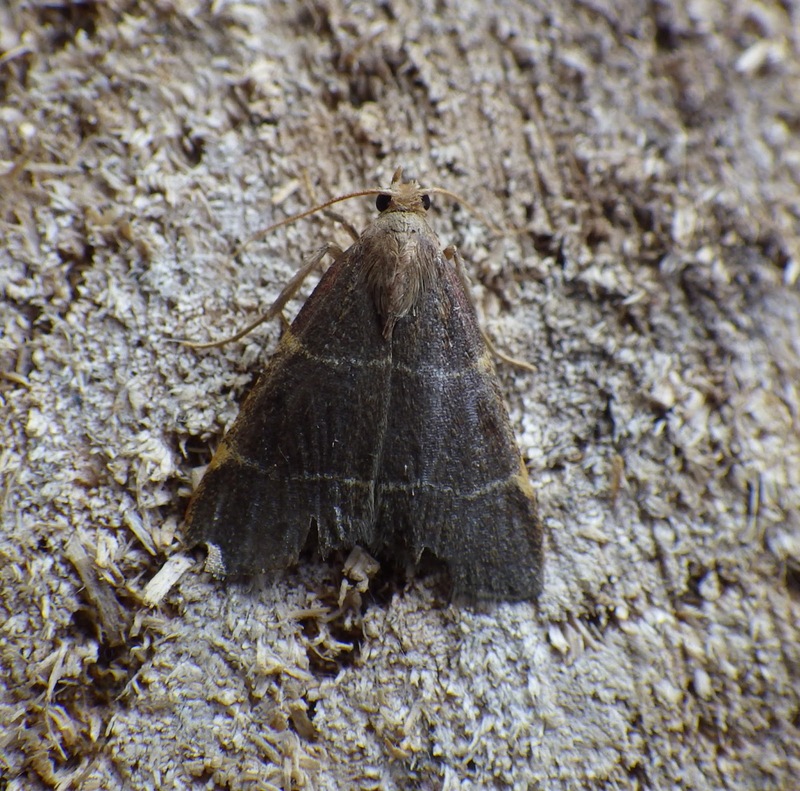 The `best` moth was Hypsopygia glaucinalis, unknown in Carmarthenshire until very recent years but now increasingly being seen; a male four-spotted footman was also caught. Above: some pyralids can be restless and very `flighty`; this one has evidently worn its wing edges during its time in my trap.